Top from Fashionablefit. 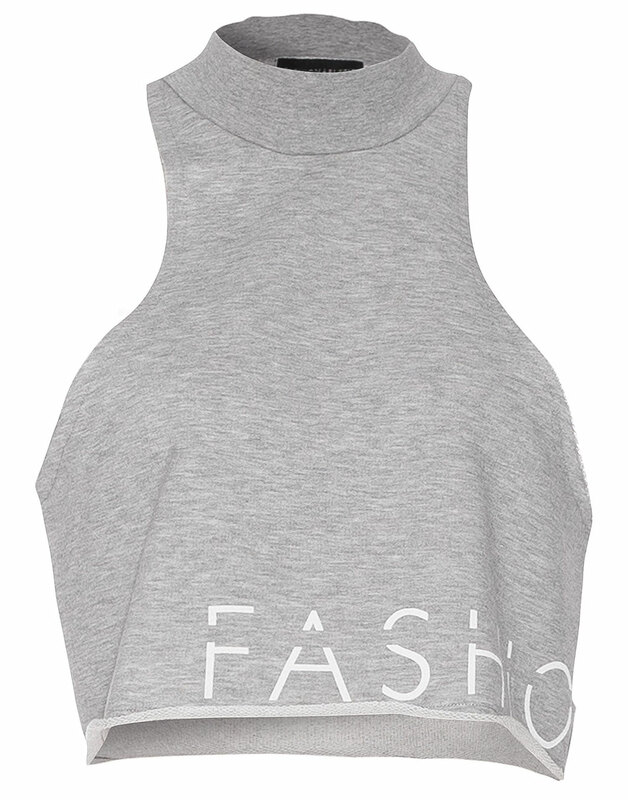 Cropped design with turtleneck and low underarms. Print at hem. Raw edges.